Russia to pay $50 bln compensation to former Yukos shareholders | Russian Legal Information Agency (RAPSI). MOSCOW, July 28 (RAPSI) – The Permanent Court of Arbitration in The Hague has ruled on the former Yukos shareholders’ $114 billion damages lawsuit against Russia, which will have to pay them $50 billion in compensation, Kommersant newspaper writes, citing sources. Russia will also have to cover $65 million in court expenses. “On July 18, the court decided unanimously to rule in favor of Group Menatep Limited (GML) saying that Russia violated the Energy Charter Treaty and expropriated Yukos assets,” the sources said. At the same time, the court agreed that Yukos attempted to avoid taxes by using front companies in Mordovia, a republic in the east of central Russia. In 2003, Russian authorities accused the management of Yukos, then the country’s largest oil company, of fraud and tax evasion. The company’s president and largest shareholder, Mikhail Khodorkovsky, was convicted and sent to prison. In 2005, he sold his share in GML to his partners, which thereby assumed control of 70.5% of Yukos shares. Yukos went bankrupt and its assets went to state-owned Rosneft. 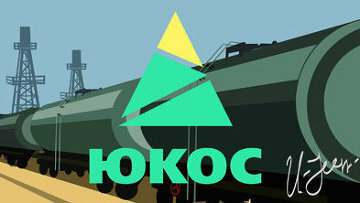 Yukos shareholders subsequently appealed to the court in The Hague after the new owners refused to pay them any compensation. Until 2009, Russia tried to prove that the Hague court had no jurisdiction over this case and that Russia did not violate the Energy Charter Treaty. Russia must pay the compensation by January 15, 2015 or it will also have to pay interest. Also, Russia has ten days to file an appeal with the Dutch court system. Khodorkovsky was not involved in the litigation in The Hague. 10:25 28/07/2014 The Permanent Court of Arbitration in The Hague has ruled on the former Yukos shareholders’ $114 billion damages lawsuit against Russia, which will have to pay them $50 billion in compensation, Kommersant newspaper writes, citing sources.